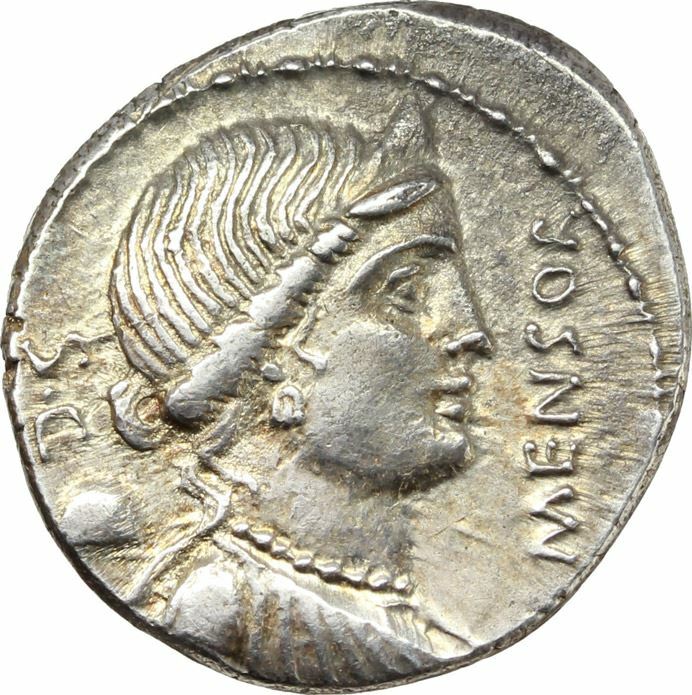 Lucius Farsuleius Mensor was one of the moneyers for the year 75 BC. He is not othwewise known. Gens Farsuleia was an obscure Roman family, known chiefly from coins and inscriptions. None of its members is known to have held any magistracies. A coin of this gens depicts what appears to be the head of Libertas on the obverse, and on the reverse a man being helped into a chariot by a Roman soldier. This is conjectured to represent the granting of citizenship to the family, perhaps alluding to the lex Julia of 90 BC, granting citizenship to the Italian allies during the Social War. For the most part, the Farsulei seem to have used common praenomina, such as Lucius, Quintus, and Gaius. However, one family living at Cerrione in Cisalpine Gaul used such exotic names as Niger, Primus, and Tertius; this seems to have been the habit of the country.